The Cobra AM645 is an all new 8-Kilometre Walkie Talkie from Cobra. 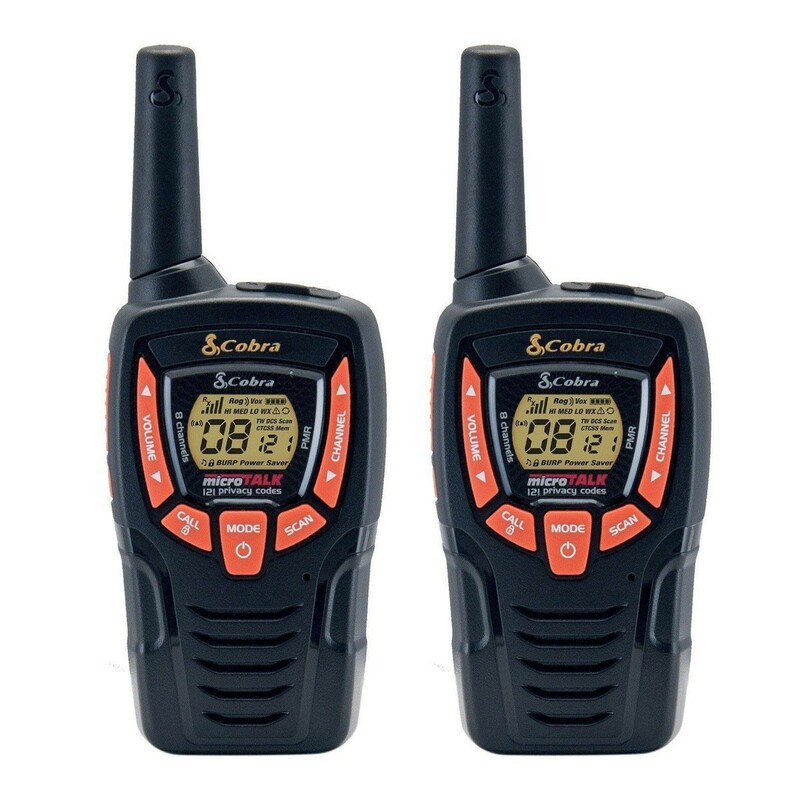 This rugged set of two way radios is the ideal companion for camping, hiking, mountain biking or enjoying a family holiday. 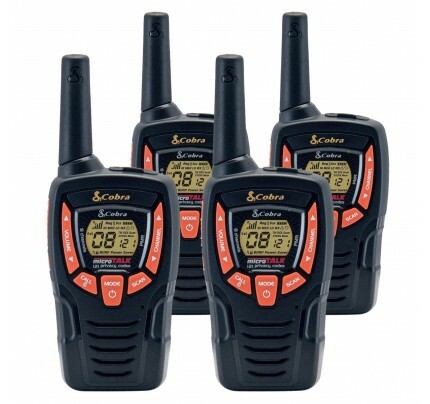 With a rubberised grip, it’s designed to make handling and using the two-way radio easier, you won’t want to leave home without one. Featuring VibrAlert® to notify you of incoming transmissions by vibrating. Voice-activated transmission keeps your hands for other tasks. Up to 968 channel combinations are available when the 8 channels are combined with the 121 privacy codes. 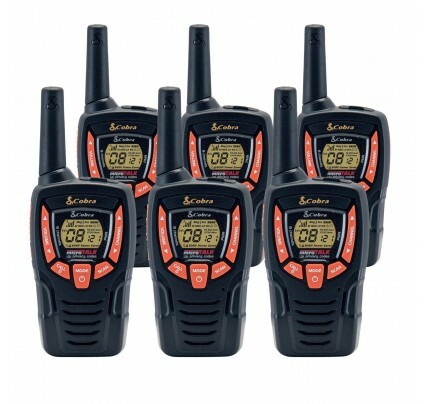 Great value walkie talkies. Bought them to use for paintballing and they work brilliantly. Range so far has been very good and reliable.